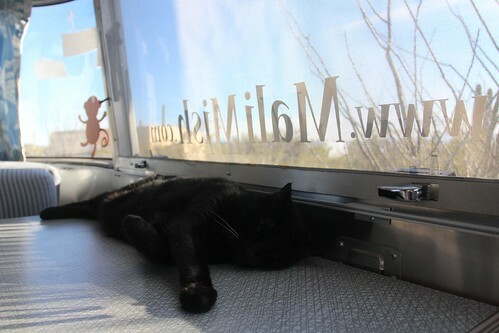 Mali Mish - Day 197: Heading into Tucson, Arizona. 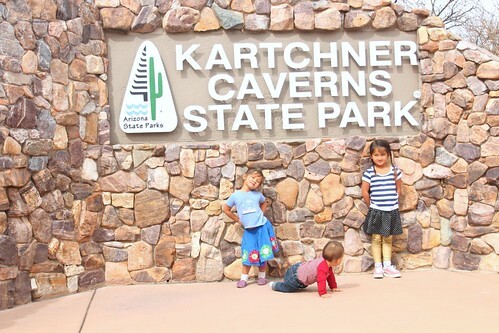 We have been to many caves in our adventures and Kartchner Caverns ranks on the top of the list as the best preserved. Mostly it is because it was not discovered until 1974. The discoverers kept its existence a secret knowing that if it was publicized before preservation efforts were put in place, it would be ruined by the public. When we dumped our tanks at Rockhound State Park in New Mexico yesterday, we were interrupted by a camp host and did not have a chance to fill our fresh water. 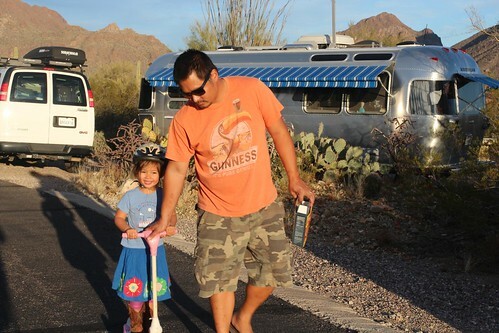 While we are here at Kartchner Caverns, we took advantage of their campground and filled our water tank. I pulled into a campsite and used the water hookup which made Marlene nervous that we would get busted for only having a day pass. Unfortunately, when we walked into the visitor’s center to buy tour tickets for the caves, they were completely sold out for the day. Because of the nearby gem show in Tucson, there are way more visitors than usual. 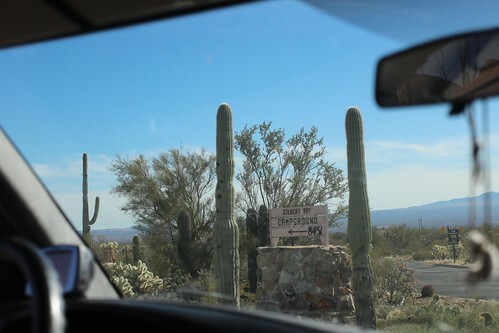 We decided to just move on and find a campsite in Tucson but if you want to learn more about Kartchner Caverns, here is the post of our last visit in 2008. 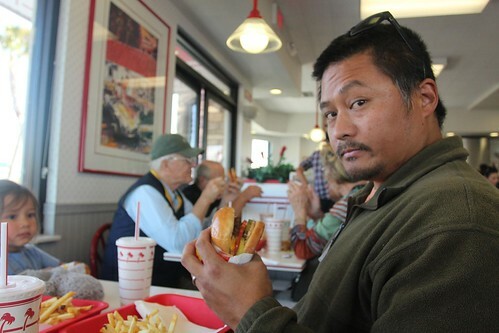 Being in Arizona also means that we are within the territory of In-N-Out Burgers. We have not been to one in 196 days with our lat visit being the day we departed from Las Vegas. Although there are now locations in Texas, nearly all of them are in the Dallas/Fort Worth area. We did not make it there this time but we hope to on our next trip across. A Double-Double Animal Style is exactly what I have been dreaming about for almost 200 days. 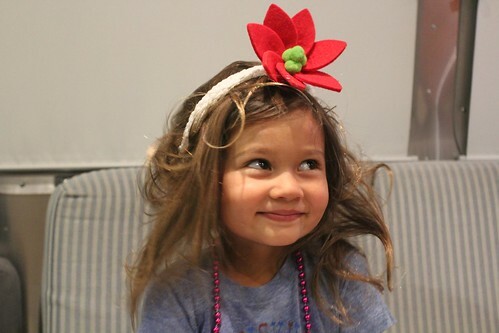 Marlene’s dream is for me to get a haircut soon. We were not holding out a lot of hope when we started to look for an available campsite. After all, the gem show is the biggest thing to come to Tucson during this time each year. All of the hotels are booked full well in advance. 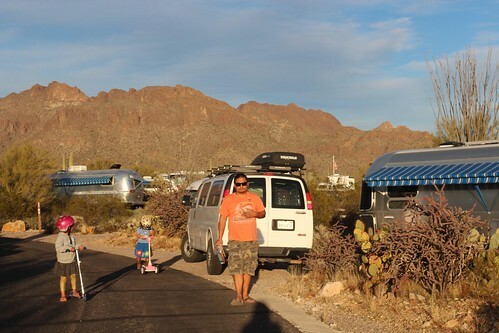 We called up Catalina State Park and and they told us even their overflow parking lot was full. 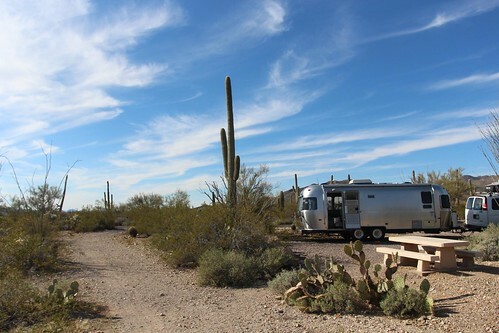 Surprisingly, there were a handful of available sites at Gilbert Ray Campground on the west side of town. 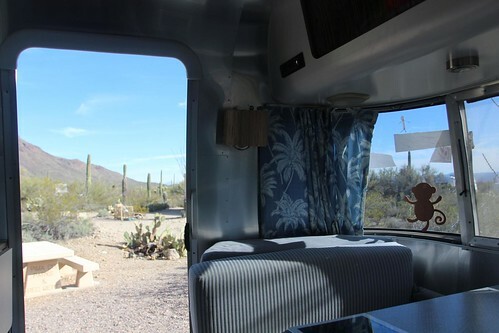 It is within a stones throw from Old Tucson Studios and the Desert Museum and we got a nice spot with electric hookup for the next couple of nights. 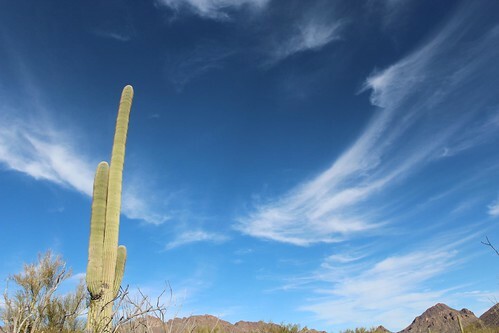 The Sonoran desert is covered with these giant saguaros. We have been to Tucson a dozen times but this is the first time we have ever stayed at Gilbert Ray. I don’t know what took us so long, it is beautiful here. 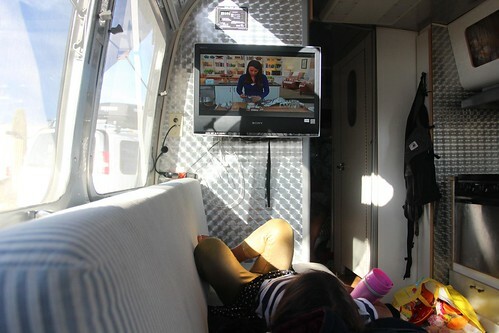 We can even get TV reception at the campground and Ava lately has really gotten into cooking shows. I think she is kind of becoming a little foodie. Mila is happy to finally be at a campground instead of the parking lot camping that we have been doing for the past few days. Luka wasted no time getting into exploring mode himself. 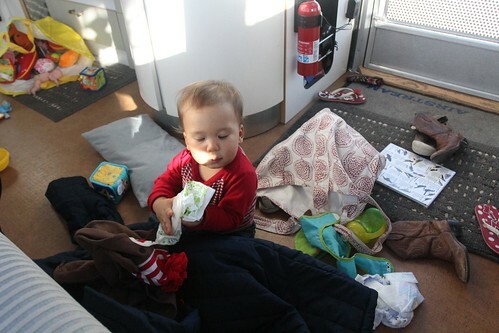 His favorite thing right now is to look for Marlene’s purse and emptying everything out of it. 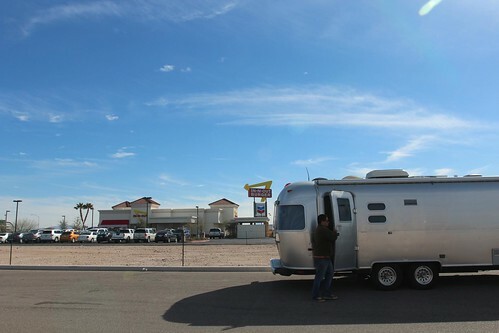 There are a handful of other Airstreams in the same loop as we are. We even met an older couple who also has an International Ocean Breeze. The weather here is just about perfect. We are finally in lower elevation so the temperature won’t be dipping too low in the evening. 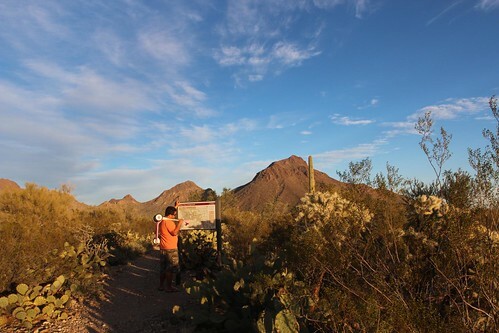 February is the perfect time to be in Tucson and we are going to savor our time here as we start to slow down a bit. Tomorrow we will be taking it easy and doing some exploring around here. 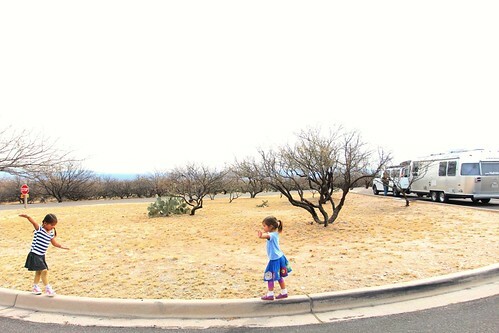 3 Responses to Day 197: Heading into Tucson, Arizona. I have been following your blog for the past several days and admit that I have enjoyed living vicariously through your travels. Thank you! I do have a question though, what brought me to your blog was the fact that you tow with a full size van. We are looking to upgrade our tow vehicle to be able to move up from our popup to a TT in the near future. The blog and Instagram has been fun to follow. Love hearing about the places you guys enjoy. 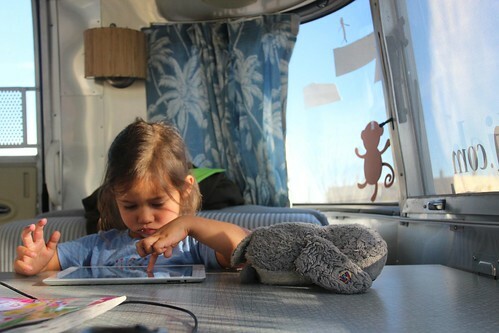 We’re searching for an airstream and hope to start off w some short trips. Just passed you on our drive home to Mammoth Lakes. Happy travels!